Adding video has never been easier. Upload (or select) a video from YouTube or Vimeo. Navigate to the page, copy the URL and paste it onto your page. 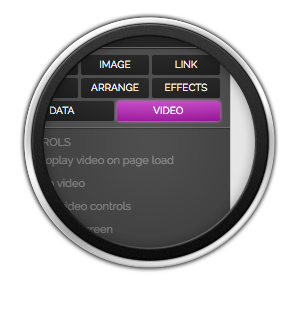 Next using the VIDEO tab adjust the settings however you’d like. Auto play, loop, mute the sound, make a background; customize however you’d like.